Auckland, 28 March 2015 - A redeveloped office building overlooking Auckland Domain in Newmarket, leased to Fuji Xerox for 12 years, is being offered to investors by CBRE on behalf of developer Mansons TCLM Ltd.
Fuji Xerox House, at 79 Carlton Gore Rd, is being completely refurbished and upgraded and will be presented to the market as a state of the art, new office facility when it is completed in October. It is being marketed by Brent McGregor and Jonathan Ogg​ of CBRE by way of an international deadline private treaty campaign, closing on May 6 2015. “Fuji Xerox has committed to a new 12-year head lease over the entire 3438sqm building, with rights of renewal and fixed rental growth. Along with the property’s location and build quality, this long-term commitment by a global corporate heavyweight makes the property a superb passive investment,” says McGregor. The building will be considered a trophy holding by investors in a market characterised by a scarcity of prime, well-leased commercial assets, says Ogg. Mansons, which bought the two-level building last year, is constructing a modern, Four Star Green Star facility with the latest energy-efficient features. The company’s reputation for constructing top-quality office assets in Auckland will be a further draw for investors, McGregor says. “Mansons TCLM is renowned for delivering high specification and high value office buildings. Since 2010, the company has developed 38% of the new CBD, city fringe and Newmarket office accommodation in Auckland – a significant achievement,” says McGregor. Notable projects Mansons has delivered since 2010 include Watercare House in Newmarket, Oracle NZ’s headquarters on Victoria St and the GHD headquarters on Napier St, Freemans Bay. Ogg expects strong demand for 79 Carlton Gore Rd from New Zealand-domiciled and offshore private investors. For offshore buyers, the property’s fundamentals make it extremely desirable at a time when the investment spotlight is broadening its focus from Asia and Australia to include New Zealand, McGregor says. The country’s stable democracy, independent regulatory authorities and lack of corruption have created an investment environment that is well recognised internationally, McGregor adds. Other key advantages New Zealand offers offshore investors include a stable, open and competitive economy, a business-friendly government, competitive cost structures, low inflation and low corporate tax rates, says McGregor. A top attraction of the property for both local and offshore buyers will be the strong covenant provided by Fuji Xerox, Ogg says. 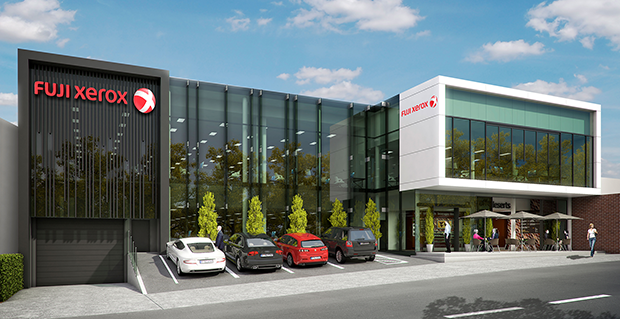 Fuji Xerox celebrated 50 years of business in New Zealand last year and will relocate its headquarters to 79 Carlton Gore Rd following a quarter of a century at its current location in Freemans Bay. “The strength of a global brand-name tenant, combined with a long lease, growing income stream, new building and top location make this property an absolute prime investment offering,” says Ogg. The building will provide 3,438sqm of lettable space across the two levels of office accommodation. Two levels of secure basement car parking and street-level on grade parking will provide 100 car parks. The property will also include a glazed central atrium and a public café at ground level, facing Carlton Gore Rd and the domain. Constructed to New Zealand Green Building Council Four Green Star Rating standard and offering the highest-quality, modern office accommodation, this is a “building of the future”, says McGregor. A chilled water fan coil air conditioning system will distribute tempered filtered fresh air to the office spaces. The chillers have been selected for high efficiency, and the whole system will be controlled and monitored by a state of the art building management system, McGregor says. The building will be one of the few in the Newmarket area to achieve this level of certified sustainability, and it is also being constructed to A grade seismic standard, McGregor adds. The building is located on a 1,914sqm freehold mixed-use site along Carlton Gore Rd, which is recognised as one of the best city fringe business locations in Auckland, says Ogg. As well as being in a location among a number of other corporate headquarters, the property is set to benefit from Newmarket’s urban renewal, which is gathering pace with the construction of the University of Auckland's Newmarket campus on the 5.2 hectare former Lion Brewery site, Ogg says. Even before the university purchased the Lion Nathan site, lower Carlton Gore Rd had already developed into an attractive boutique retail and café precinct, alongside the ongoing popularity of Newmarket as a shopping destination and the development of new apartments and office buildings in the area, he says. The development of Teed Street and Nuffield Street into attractive precincts is a further example of the area’s ongoing positive dynamics which are giving developers and tenants confidence, he adds. McGregor says Newmarket has long been regarded as Auckland's premier retail destination because of its combination of boutique retail, department stores and mall; cafes, bars, movie theatres, hotels and leisure facilities. The future viability of high-quality office investment stock looks very sound, with vacancy falling across the Auckland market and occupiers operating at elevated levels of capacity utilisation, according to CBRE’s recent survey of 160 office tenants in the Auckland market. The survey identified ‘business growth’ as the major driver of office tenants’ real estate strategy over the next two years, with over half of the occupiers planning to increase employee numbers by more than 5%. 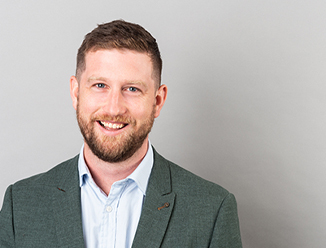 “This comes at a time when there is little spare capacity to accommodate extra headcount, particularly within quality office accommodation,” says McGregor. 119 New Zealand properties of over $5 million in value changed ownership over the period – the strongest result ever shown in CBRE’s records. The volume of transactions for the six months was more than twice that recorded for the previous market peak in the second half of 2007.